To simply put it, dogs are better than people and they deserve the best of the best. It’s scientifically proven that dog owners are healthier, happier, and generally live an overall better life. Dogs do so much for us and selflessly never ask for anything in return. 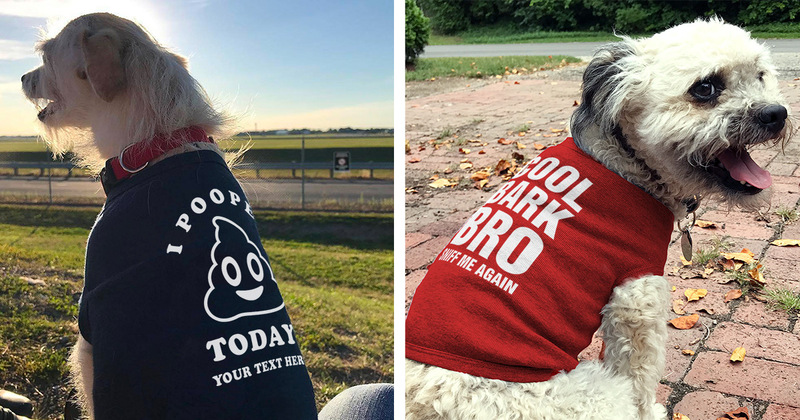 There’s no better way to honor your pup than designing custom dog tank tops for him or her on National Dog Day! Dog’s aren’t called man’s best friend for nothing. That’s why Customized Girl’s custom dog tank tops are the cream of the crop. Our dog tank tops are created for small to medium sized pups and are made with 100% combed ring-spun cotton. 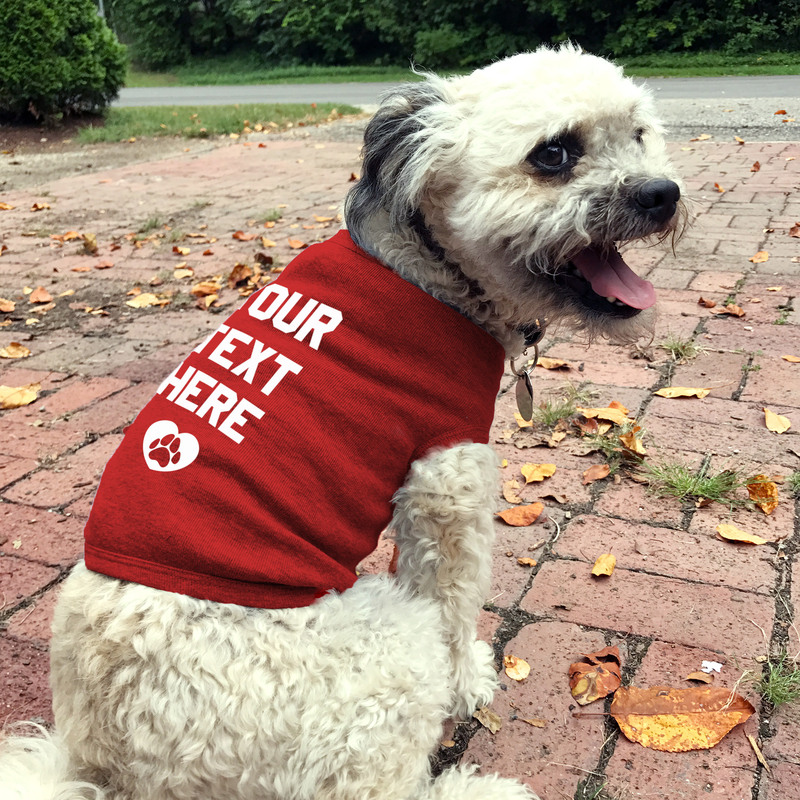 Every design for your furry friend is printed with highly durable, fade-resistant laser cut film material. This material is applied to your item at a very high temperature and pressure for a long lasting, vibrant look. Perfect for fido’s every day romp in the mud. That’s not all the products we offer for your pooch! Customized Girl also provides doggie bowls and bandannas but if you are a true dog lover you’ll want to customize a shirt for yourself. Let everyone know that your love of dogs runs deep with a custom shirt. Better yet, customize a shirt with your best friend’s name or create matching designs to wear together! Now that’s true love. We would love nothing more than to see your best friend rocking a custom design from Customized Girl. Share your designs and pictures with us via Facebook, Twitter, or Instagram @CustomizedGirl!